This capability will reduce the time it takes to develop advanced software technologies for space applications from years to just months. It also increases the utility of spacecraft in orbit and improves space system resiliency. 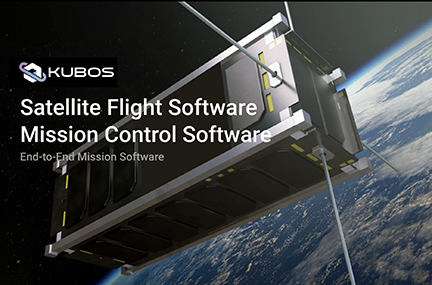 Kubos has developed a spacecraft software framework and development infrastructure using a tailored version of Kubos commercial products. This framework enables spacecraft already in orbit to be used as an operational platform to prove and deploy software capabilities. The capability to run hosted software applications in parallel with the spacecraft primary mission software allows new technologies to be advanced more rapidly without impacting or adding risk to the primary mission. Kubos is also offering this solution to commercial customers to help them create innovative business models and new revenue streams. Marshall Culpepper, CEO of Kubos, said that in today’s environment, rapidly evolving threats require the U.S. to more swiftly develop and evolve space technologies. This low-risk solution is designed to help the U.S. Air Force, government agencies, and commercial satellite operators accomplish that need. Dean Hawes, VP of Programs at Kubos, added this is an exciting opportunity for Kubos to work directly with the U.S. Air Force. The company is looking forward to demonstrating a capability that will enable rapid technology refresh, greatly enhancing mission flexibility and spacecraft utility for both government and commercial customers.